What conditions does Effient treat? This medication can cause serious bleeding. Tell your doctor right away if you have any signs of serious bleeding, including: unusual pain/swelling/discomfort, unusual bruising, prolonged bleeding from cuts or gums, persistent/frequent nosebleeds, unusually heavy/prolonged menstrual flow, coughing up blood, bloody/black/tarry stools, bloody urine, vomit that is bloody or looks like coffee grounds, severe headache, dizziness/fainting, shortness of breath, chest pain, difficulty swallowing. 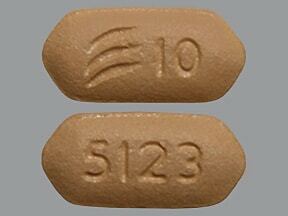 Prasugrel has rarely caused a certain blood disorder (thrombotic thrombocytopenic purpura). Get medical help right away if you develop symptoms of this blood disorder, including: vision changes, slurred speech, confusion, yellowing eyes/skin, dark urine, signs of kidney problems (such as change in the amount of urine), unusual weakness/tiredness, unexplained fever. List Effient side effects by likelihood and severity. Before using this medication, tell your doctor or pharmacist your medical history, especially of: blood disorders (such as hemophilia), bleeding problems (such as bleeding of the stomach/intestines, bleeding in the brain), blood clots in the brain (stroke, transient ischemic attack-TIA), recent major injury/surgery, liver disease, stomach/intestinal ulcers. What should I know regarding pregnancy, nursing and administering Effient to children or the elderly? Does Effient interact with other medications? 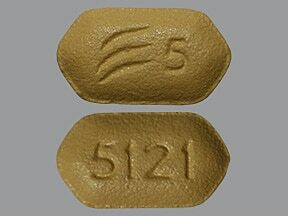 This medicine is a yellow, hexagonal, film-coated, tablet imprinted with "logo and 5" and "5121". This medicine is a beige, hexagonal, film-coated, tablet imprinted with "logo and 10" and "5123". Are you considering switching to Effient? How long have you been taking Effient?